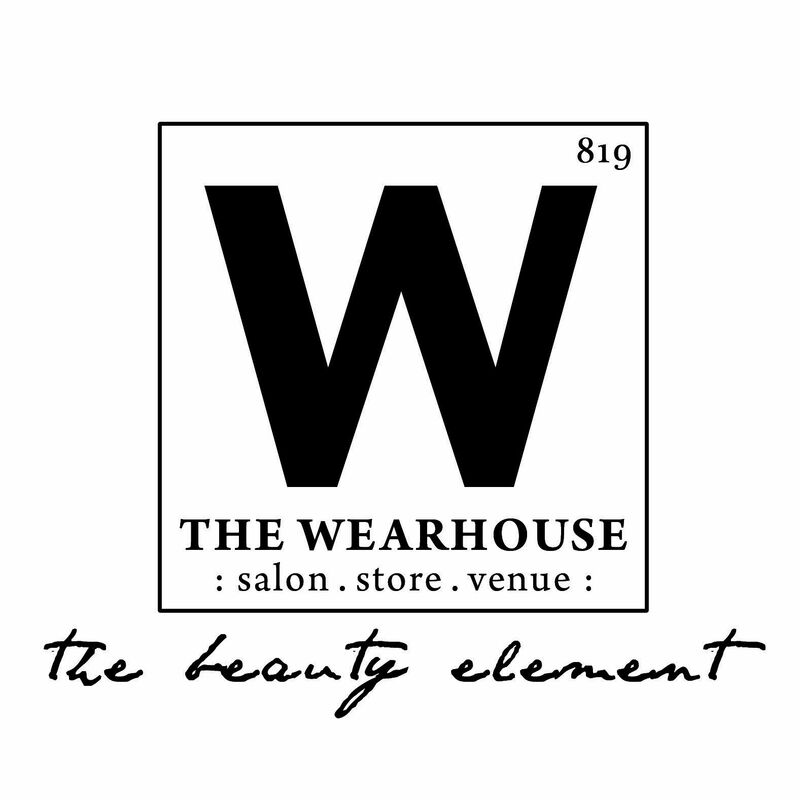 Wearhouse Founder & Celebrity Hairstylist Jullie Hammer revamps & reconstructs her client’s hairstyle from chaos to classy! Jullie gives us some insight on how to achieve this fashionable style! Base 5.0, 10 Volume Activator weaved with ANC Lightner with 20 Volume Activation Source and 10.01 + 000 and 20 Volume Activation Source. Nourishing Shampoo is utilized for damaged or very dry hair. Ideal for bleached hair, with highlights, perm or relaxed. Its formula, characterized by a rich and full-bodied foam, is designed to gently cleanse treated hair, giving it body and nourishment. Apply to wet hair. Massage gently and rinse. Repeat shampoo application,thenapply Nounou conditioner. Fiaschetto Tomato from Guaceto – it has a strong nourishing power and an antioxidant action. Mixture of mild surfactants – to clean the hair without making it heavy; Phenethyl Benzoate – strong shining effect. 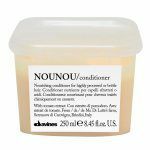 Nounou Conditioner nourishes damaged hair. Its formula is designed to untangle treated hair, it also makes it soft and silky, giving it body. Its chemistry does not weigh down the hair but nurture it! Apply to damp hair after using Nounou Shampoo. Leave on for 5-10 minutes, comb through then rinse. Proceed with drying. Fiaschetto Tomato from Guaceto – it has a strong nourishing power and an antioxidant action. Vitamin E – anti-oxidant action. 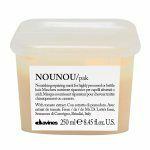 Nounou Repairing Hair Mask is for highly processed or brittle hair. 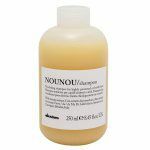 Apply to towel dried hair after using Nounou Conditioner. Leave on for 5-10 minutes, comb through then rinse. Proceed with drying. Fiaschetto Tomato from Guaceto – it has a strong nourishing power and an antioxidant action Olive butter – nourishing and emollinet action; Vitamin E – anti-oxidant action. • Prior to Blowdry apply Davines Volume Boosting Mousse to scalp & roots and Relaxing Moisturizing Fluid from mid to the ends of your strands. 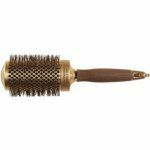 Using a round brush while blow drying – Jullie recommends using Olivia Garden’s 2.5 inch Ceramic Round Brush that can heat up while blow drying, this allows a softer smoother finish to your hairstyle. Volume Boosting Mousse is a creamy mousse with a snow-like texture, compact and light to the touch, with medium hold. It is Carbon-neutral/Zero Impact Product. Apply evenly to towel-dried hair. Proceed with the desired styling. Depending on hair density, length and desired effect, apply between 3g and 5g of product. A synergy of different ingredients with a high moisturizing power that facilitates the deposit of water molecules on the hair shaft. The gradual release of these ingredients enhances product performance and keeps hair healthy and moisturized longer. • The formula is paraben-free and with no added colourings. Apply a small amount of product to damp hair and proceed with styling. Depending on hair density, length and desired effect, apply between 4g and 8g of product. 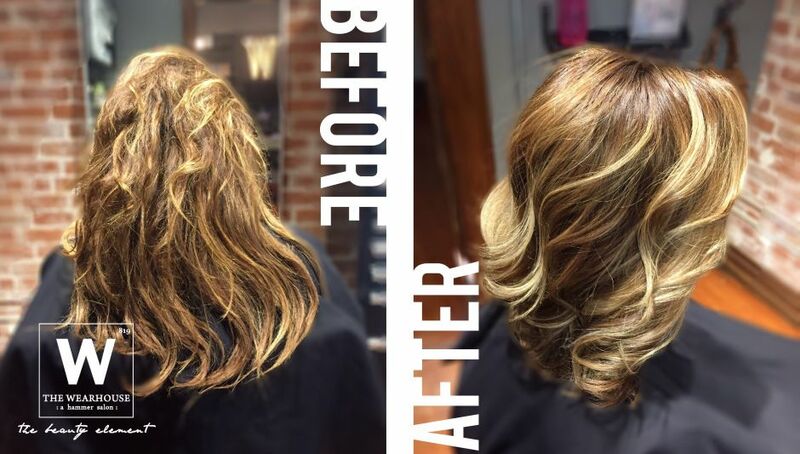 Finish this look by pin-curling with a 1 1/4 inch curling rod, let the hair cool in your set pin curls, lightly brush through with your fingers or a wide tooth comb and finish with Davines Medium Hairspray. 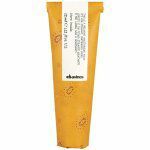 • Cream-gel, pearly and elastic with strong hold. For styling, spray onto the hair at a distance of 30cm then comb. It can also be sprayed directly onto the areas to be defined. Depending on hair density, length and desired effect, apply between 3g and 6g of product.